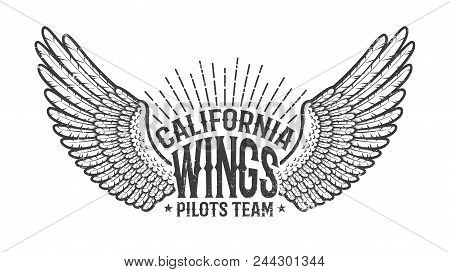 Retro emblem of the club of pilots with outstretched wings. Monochrome on a white background. Worn texture on separate layer and can be easily disabled.